Any Goosebumps fan knows the answer to that is Bexley native/OSU grad R.L. Stine, but in Goosebumps 2 it’s what Stine didn’t write that unleashes some not-too-scary family fun. Good buddies Sonny (Jeremy Ray Taylor from IT) and Sam (Caleel Harris) stumble upon a mysterious book while cleaning out a creepy old house. They turn their backs and a ventriloquist’s dummy makes sure he’s found as well. “Slappy” (voiced by Jack Black) was born from the book they found, the unfinished manuscript of Stine’s first novel, and he has some magical powers which are all fun and games until they’re not. See, the dummy wants a real family, and he won’t stop until he brings Halloween to life and makes Sonny’s mom (Wendi McLendon-Covey) his own, which doesn’t sit well with Sonny or his sister Sarah (Madison Iseman). It will take the whole gang, with a little help from Stine himself (Jack Black) to put Slappy and all he conjures back in the book where they belong. Director Ari Sandel, who helmed the smarter-than-average teen comedy The Duff, and writer Rob Leiber (Alexander and the…Very Bad Day) take over the Goosebumps film franchise and hit a satisfyingly specific ‘tween target that will give adults some smiles as well. The humor is silly but not stupid, the frights won’t bring nightmares, the town bully isn’t really that mean, and the town does Halloween like no place you’ve ever seen, led by Holiday enthusiast Mr. Chu (Ken Jeong). It makes for an inviting setting, and once all those costumes and decorations come to life, there is plenty of lower-budget visual pop. 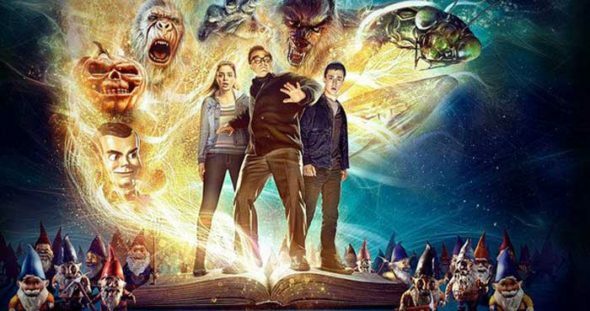 Goosebumps 2 has style, a winning cast, and winking nods to horror classics such as IT and Frankenstein. Plus, it makes books and science seem cool, and gets it all done in under 90 minutes. That adds up to one “fun-size” Halloween treat that doesn’t disappoint.